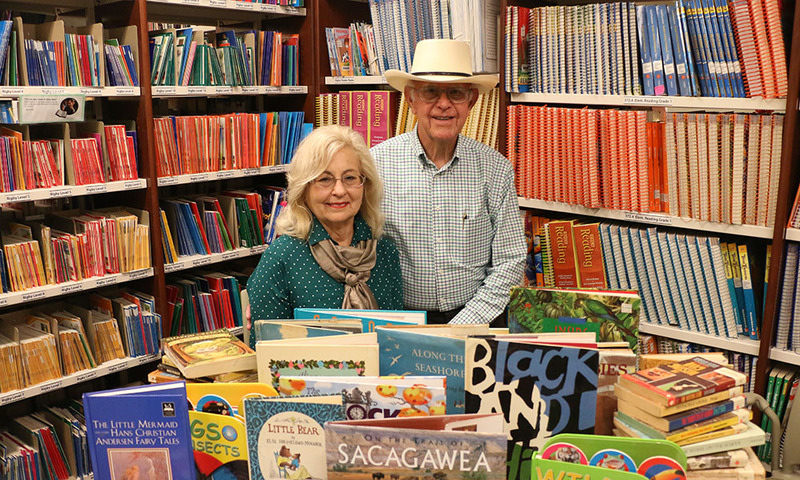 Bob and Barbara Stepp Johnston have spent their professional lives dedicated to education. 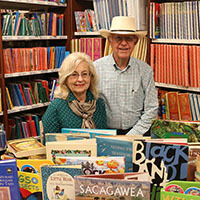 After meeting Bob at Baylor in the early 1960s, Barbara left the Baylor School of Education when they married and finished her education degree at Southwest Texas State University (now Texas State). She earned a master&rsquo;s degree from the University of Texas Rio Grande Valley and enjoyed a 34-year career teaching elementary school. Bob graduated from Baylor in 1962 and, after a military career, became director of recruiting and communications for Texas State Technical College in Harlingen. Through every career twist and turn, the Johnstons have also maintained an enthusiastic dedication to Baylor University. When Bob was stationed in the remote Azors islands in the 1960s, there was no access to television or even newspapers — so Bob checked a ticker-tape news feed every week to find out the Southwest Conference football scores and how Baylor fared. Now, in their hometown of Harlingen, they tirelessly promote Baylor, carrying business cards with their designation as Baylor "ambassadors" and sponsoring the broadcast of "A Baylor Christmas" on television for viewers in the Valley. They travel to Waco regularly for athletic, music, and other events. The Johnstons' love of Baylor and education led to an endowed scholarship gift to the School of Education. They have already given scholarships in the Department of Film and Digital Media and in the School of Business and have designated a legacy gift to Baylor through their wills. They are giving to the SOE for two reasons, Bob said. "We are giving because teachers are such a great influence on young people. If we can have a Baylor graduate in a classroom, we know the caliber of that person is going to be what we want to see; they will demonstrate Christian faith in their character and love of children," he said. "And we want to honor and recognize Barbara's time in the classroom and her enjoyment of teaching." "We want future teachers to know they can come to Baylor and that it is within their reach," Barbara said. Through her years of teaching, Barbara amassed an impressive collection of children's books, all winners of the Caldecott or Newbury Award. Last year, she and Bob donated those to the SOE's Learning Resources Center, and Barbara hopes future teachers find the same value in them that she did — as a spark to deeper conversations. One of Barbara's favorite books is about a young bat adopted by a family of birds who find it odd that she wants to perch upside down. "It helps the children understand that others in the classroom might be a little bit different, but they can accept them and be friends," Barbara said. Bob is a bit of a collector also, and his collection of Corvettes is part of the reason the couple can be a Baylor donor. Bob's interest in Corvettes sparked a successful business producing and selling Corvette memorabilia that the couple ran together. "We were very conservative in life," he said. "Yes, we bought Corvettes, but I never sold one for less than what I paid, and some I sold for ten times what I paid. To me the word 'depreciation' is a cuss word!" Bob says his only regret is that they cannot give more to their alma mater. "We would love to be the largest donor in Baylor history," he said. option 4. Michele_Tigelaar@baylor.edu or visit baylor.edu/give.